Let's start by getting the phone's hardware specs out of the way. Inside, the KEY2 is powered by Qualcomm's new power-efficient Snapdragon 660 SoC, 6GB RAM, and a 3,500mAh non-removable battery. 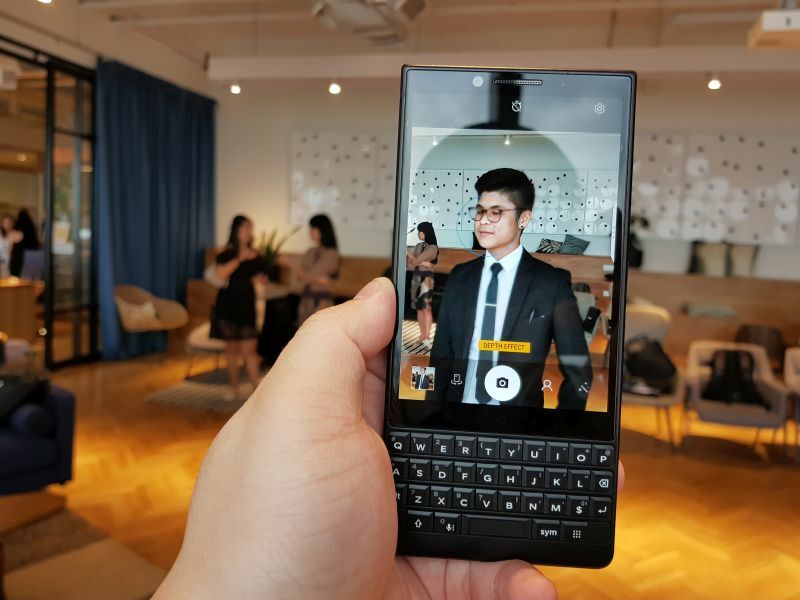 Storage-wise, the variant that BlackBerry is bringing into Malaysia comes with a 64GB internal storage capacity, which can be expanded via the on-board microSD card slot. To keep the internal chugging along smoothly, the KEY2 comes equipped with a 3500mAh battery. It's not lacking by any measure, but if we're honest, it isn't the biggest battery we've come across in a smartphone. As we mentioned at the start, the KEY2 sports that same rugged, yet entrepreneurial look that many people have come to associate with the brand. The phone's frame is made out of aluminium, while the back of it is covered with a rubberised material that actually helped keep the phone firmly in our grips. 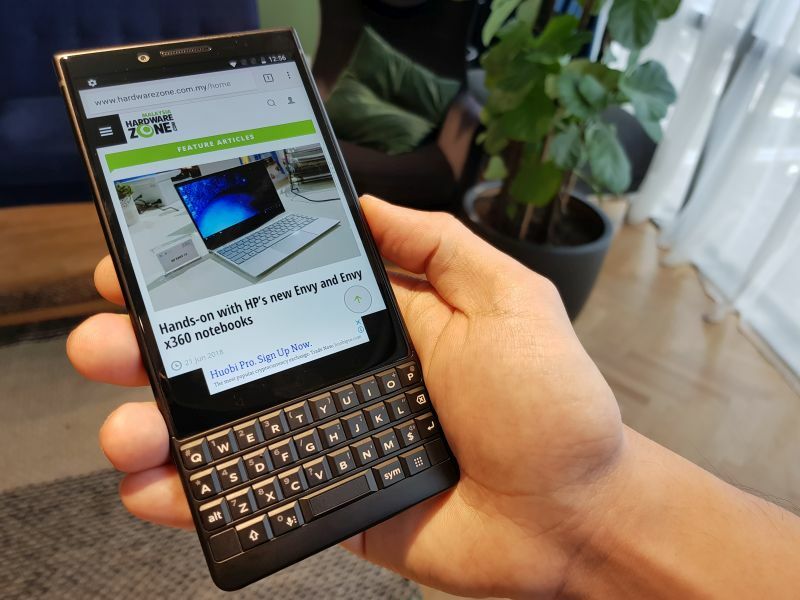 Still touching on the phone's aesthetics, I like how BlackBerry rounded out edges at the bottom of the phone in order to make typing on the keypad a more comfortable experience. That brings us to our next topic of discussion: the QWERTY keypad. 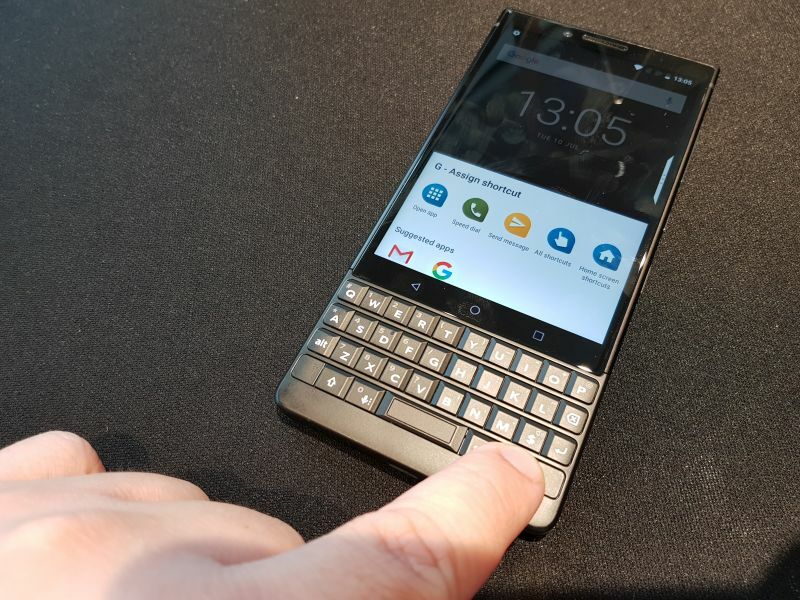 BlackBerry says that it gave the keys on it 20 percent more real estate for the fingers, and we're inclined to believe them. 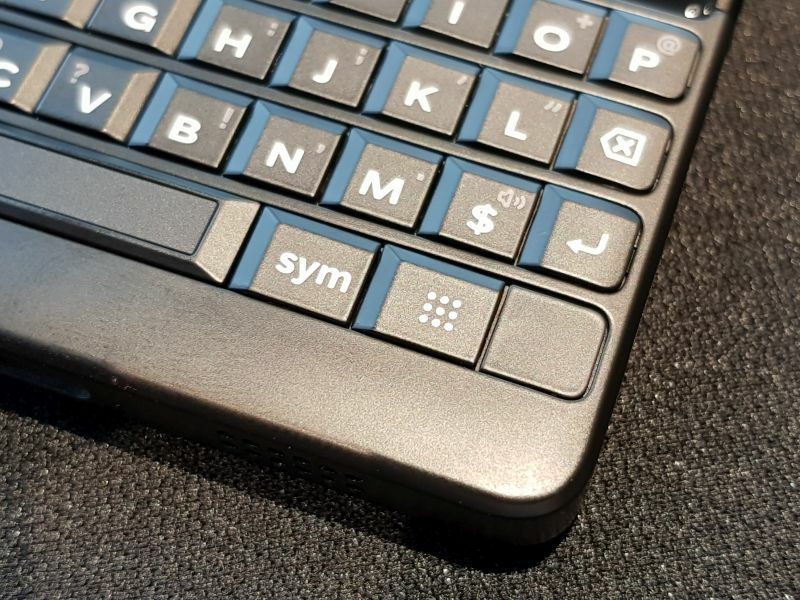 Typing on the phone's keypadactually felt satisfying, and that's also because it retains the same tactile click from the KEYone. On another note, the new Speed Key could stand to benefit from a few tweaks. While holding down the button and keying in the first initial of an installed app saves us the trouble of heading back to the homepage, it feels as though the feature would be more appealing if it would allow us to search for an app by its full name (or at least a partial search). 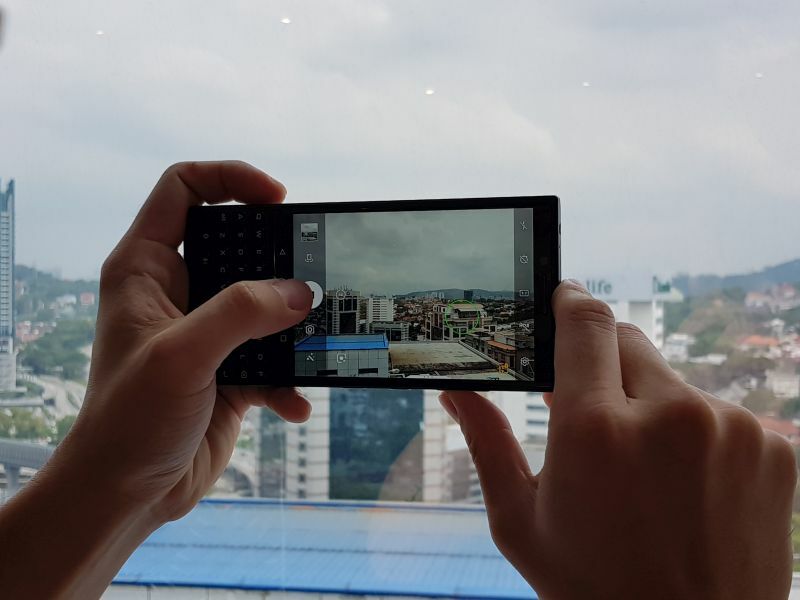 Like its predecessor, the KEY2's display measures in at 4.5-inches. Yes, the display doesn't envelop the entire front of the phone, like a typical smartphone of today's standard would. However, BlackBerry has managed to give the phone a native resolution of 1620 x 1080 pixels. It's not full-screen Full HD, but texts, app icons, and images lookedsharp and clear. 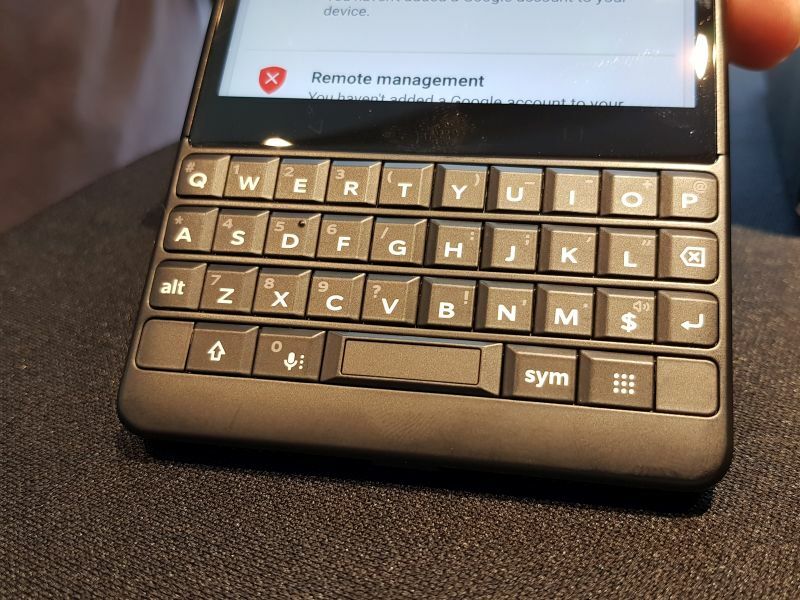 On that note, and once again addressing the appeal of a dedicated keypad, the phone's overall power consumption for the phone is much more improved, althought it did take a bit of getting used to typing on something other than a software-based keyboard. If we're honest, the phone's dual 12MP+12MP camera array felt rather lackluster. In our short time playing with it, we found it to be very responsive, with the lag between each shot being only a fraction of a second. However, the quality of the photos did look a little muted, and less punchy then we would've liked them to be. Unfortunately, we weren't able to take a lot of photos with the phone, due to a area restriction implemented by BlackBerry. 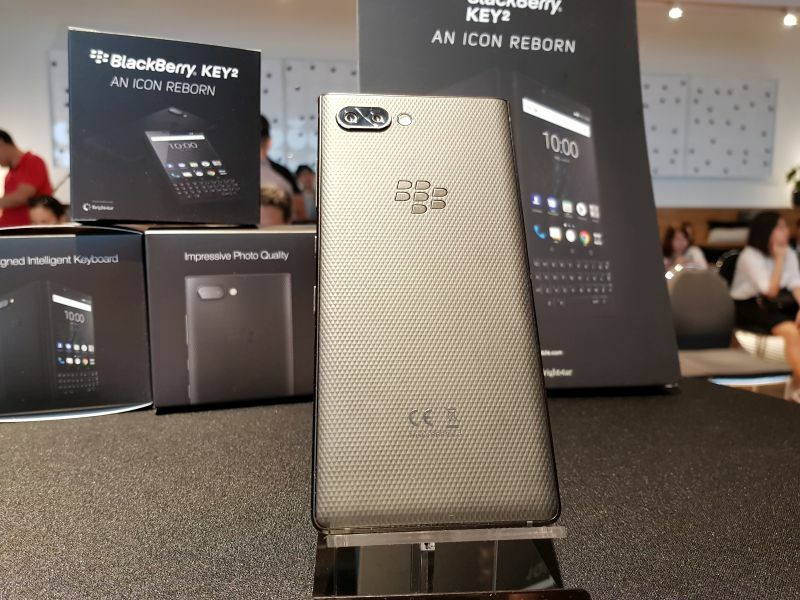 The BlackBerry KEY2 will go on sale on July 12, 2018. 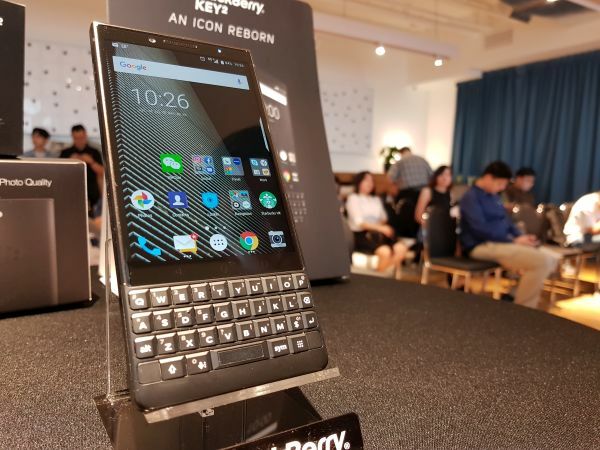 At RM2,599, BlackBerry's asking price is - in our humble opinion - rather steep, and that's after taking into consideration the phone's many BlackBerry-centric security features.